Preheat the oven to 200ºC. Lightly grease baking tray with butter and line with baking parchment. Put the flower in to a large bowl and add the butter. Rub the butter and flower together with your fingers until you will have breadcrumb -like mixture. Add the sugar, egg, salt, baking powder and using wooden spoon turn the mixture gently to incorporate all ingredients. Add half the milk and keep turning the mixture gently with the spoon to combine, Then add the rest of the milk, a little at the time, and bring everything together to form a very soft, wet dough. You may not need to add all the milk. Sprinkle some flower on a kitchen surface. Tip the dough out and sprinkle some more flower over it. The mixture will be wet and sticky. Fold the dough in half, turn it 90º and repeat. Keep folding it few times, dusting with flower if necessary. 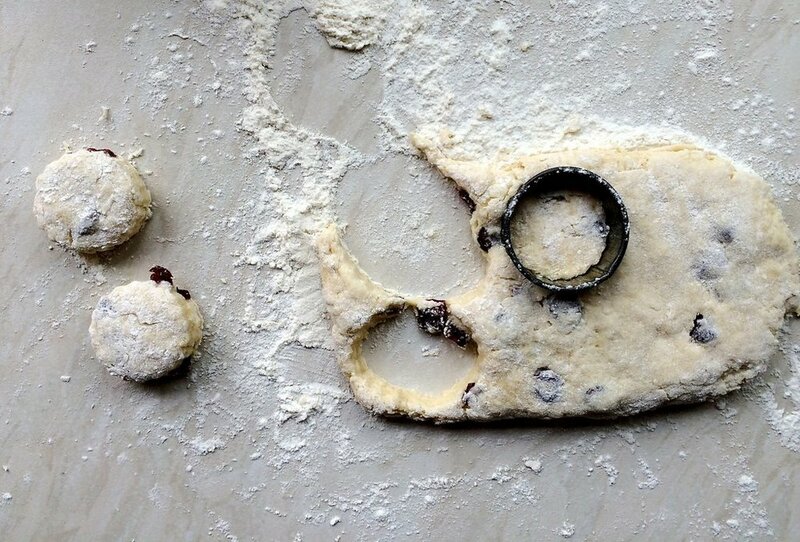 You do not want to overwork the dough as the scones will become hard. Flower your hands and tap the dough until you achieve 2.5cm thickness, you can use rolling pin if you prefer. Using 5cm pastry cutter dipped in flower to prevent sticking, cut out each scone and place it on the baking sheet. Reuse leftover pastry to cut some more scones until all of the dough will be used up. Brush the scones with the beaten egg and sprinkle with some sugar. Bake for 10 minutes or until the scones are risen and golden brown. I serve mine with clotted cream and home made strawberry jam.